In our work-obsessed era, office hours can go well into the night, especially for executives who tend to have meetings well after 5:00 p.m. Here are our top 5 bars in Toronto for that business drink or dinner. Savour over an impressive selection of Italian wines and offal-inspired small bites. 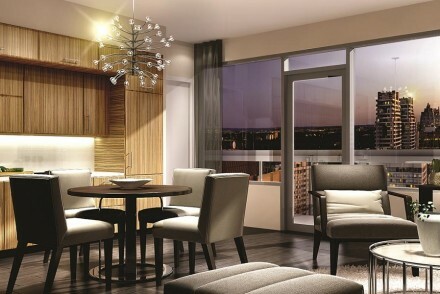 The 38 seat snack bar on the ground level of a condo on Portland Street is ideal for that cinq à sept. No reservations. This storied bar, 18 floors on top of the Park Hyatt has bartenders as old as the space. Whether it’s a classic martini or a scotch on the rocks, this is the spot to have business discussions in a low-key yet old-world setting. It is a popular spot during the Toronto International Film Festival and loved by celebrities and locals alike. Nota Bene This sophisticated restaurant on the edge of the Financial District executes crafted cocktails in a subdued setting. Sommeliers are on hand to help you with your selection. Should you stay for dinner, there are private dining rooms available for your business meeting. Affordable pre-theatre menus are also available from 5-6pm on days there is a performance at the Four Seasons Centre for Performing Arts. Real Sports Bar Though the bar can be loud and raucous–it is North America’s largest sports bar, after all–Real Sports is a casual spot where you can kick back and relax on a weeknight or a game night. The two-story location has a variety of options (e.g. Executive Suites, Gardens Room, and Players Lounge) if you’re looking for a private function for your company. On the 54th floor of the TD Tower, the restaurant that started Oliver Bonacini’s empire, is one of the most renowned dining experiences in Toronto, if not in Canada. The bar doesn’t disappoint with its views of the Toronto Islands, banquette seating in the corner, and inventive cocktail list like the Dill Pickle (gin, Grand Marnier, white cranberry, lime, and dill). 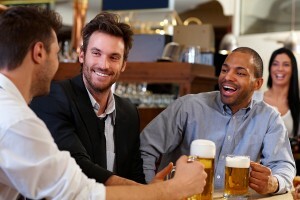 Most of our these top 5 bars in Toronto are located right near DelSuites furnished apartments. Ideal for corporate housing in Toronto. Cheers!